This Afternoon... Periods of showers and possibly a thunderstorm. 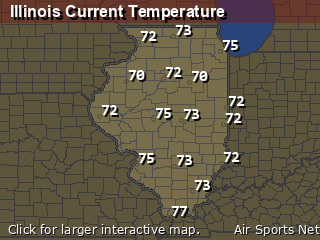 Steady temperature around 67. West northwest wind around 6 mph. Chance of precipitation is 80%. Tonight... Periods of showers and possibly a thunderstorm before 10pm, then scattered showers and thunderstorms between 10pm and 4am, then showers likely and possibly a thunderstorm after 4am. Low around 59. South southeast wind 3 to 5 mph. Chance of precipitation is 80%. Thursday... Showers and thunderstorms before 4pm, then showers and possibly a thunderstorm, mainly after 4pm. High near 70. Calm wind becoming south southwest around 6 mph. Chance of precipitation is 80%. Thursday Night... Showers and thunderstorms likely before 1am, then a slight chance of showers between 1am and 4am. Mostly cloudy, with a low around 49. Northwest wind 6 to 11 mph increasing to 12 to 17 mph after midnight. Winds could gust as high as 24 mph. Chance of precipitation is 60%. Friday... Sunny, with a high near 70. North northwest wind around 14 mph, with gusts as high as 24 mph. Friday Night... Mostly clear, with a low around 46. Northwest wind 5 to 8 mph becoming calm in the evening. Saturday... A 30 percent chance of showers, mainly after 1pm. Partly sunny, with a high near 69. 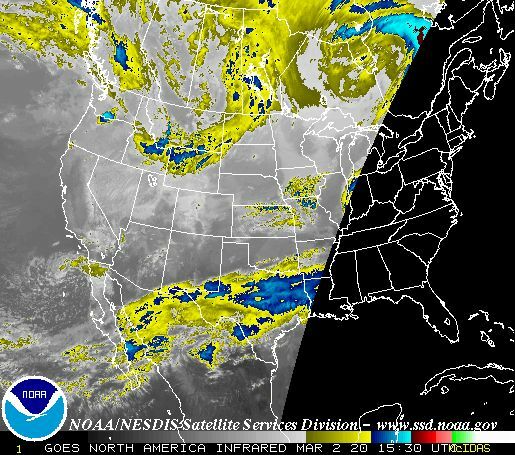 South southeast wind 6 to 11 mph increasing to 13 to 18 mph in the afternoon. Winds could gust as high as 28 mph. Saturday Night... A slight chance of showers before 1am. Partly cloudy, with a low around 50. 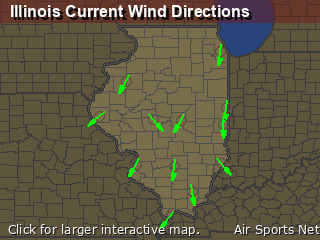 South southwest wind around 15 mph becoming west northwest after midnight. Winds could gust as high as 23 mph. Sunday... Sunny, with a high near 66. North northwest wind 8 to 13 mph becoming northeast in the afternoon. Winds could gust as high as 20 mph. Sunday Night... Partly cloudy, with a low around 50. East wind around 8 mph. Monday... A chance of showers. Partly sunny, with a high near 73. East southeast wind 9 to 11 mph becoming south in the afternoon. Monday Night... A slight chance of showers and thunderstorms. Mostly cloudy, with a low around 55. South wind 7 to 10 mph. Tuesday... A slight chance of showers and thunderstorms. Mostly cloudy, with a high near 77. South wind 8 to 13 mph, with gusts as high as 20 mph. Tuesday Night... A chance of showers and thunderstorms. Mostly cloudy, with a low around 60. South wind 10 to 13 mph, with gusts as high as 20 mph. Wednesday... A chance of showers and thunderstorms. Mostly cloudy, with a high near 79. South southwest wind 13 to 15 mph, with gusts as high as 23 mph.